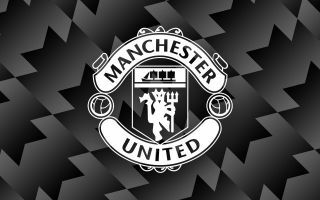 Man Utd have been tipped to make big-money signings this summer as they look to bolster key areas of the squad in order to compete at the highest level. The Red Devils have been resurgent under interim boss Ole Gunnar Solskjaer since December, getting themselves back into contention for a top-four finish in the Premier League while also remaining in the hunt for the Champions League. Back-to-back losses prior to the international break could disrupt their momentum, but there is undoubtedly more optimism about the future, albeit it remains to be seen if Solskjaer gets the job on a permanent basis this summer. That hasn’t stopped speculation from suggesting that Man Utd will spend big ahead of next season though, with three marquee names being tipped as transfer targets this summer. According to the Evening Standard, Jadon Sancho, Bruno Fernandes and Kalidou Koulibaly could emerge as priorities on the shortlist, strengthening the spine of the side from defence to attack. United have conceded 40 goals in 30 league games so far this season, giving them the worst defensive record of the top seven sides in the standings. With that in mind, Koulibaly would certainly help address that problem, with the Napoli defensive rock emerging as one of the top centre-halves in Europe in recent seasons. Meanwhile, Fernandes would be a quality addition in midfield to add more creativity and attacking threat, with the 24-year-old Portuguese international scoring 24 goals and providing 14 assists in 43 appearances for Sporting Lisbon so far this season. Aside from Paul Pogba, United don’t have enough attacking quality in midfield, and so Fernandes could be a sensible addition. Further, Sancho is also touted as a primary target, with the English starlet shining at Borussia Dortmund this season to prove that his decision to move to Germany for regular football and a prominent role was a smart one. The 18-year-old has bagged nine goals and 17 assists in 35 outings, but United could now look to take him back to Manchester after his previous stint with Man City. However, it’s important to note that the Evening Standard add that Sancho could cost £80m+, while Napoli value Koulibaly at £100m. Not even taking Fernandes’ potential price-tag into consideration, that’s a potential £180m+ splurge this summer, and so it remains to be seen what kind of budget the Red Devils have.